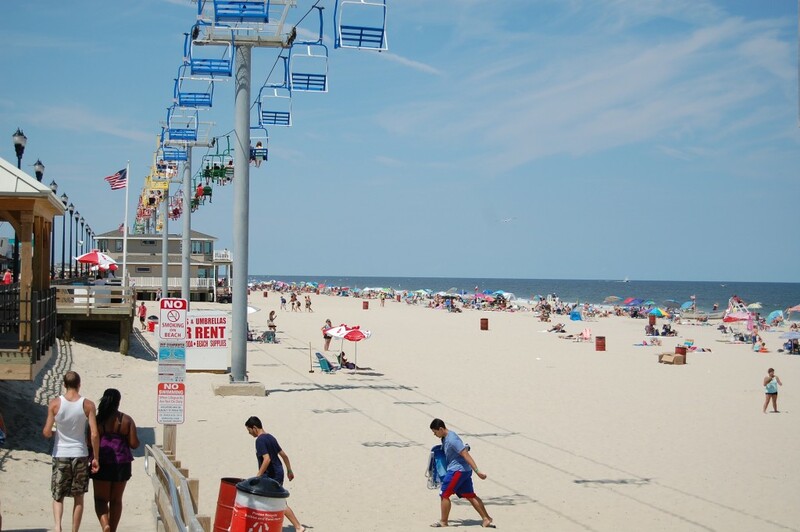 Beach badge sales are going digital for summer 2016 in Seaside Heights, officials said. The borough council on Wednesday approved a licensing agreement with a vendor that will create an app to allow beachgoers to purchase their badges from their smartphones. The app, which is not yet available for download, will run on iOS and Android devices, and enable users to purchase any number of daily, weekly or seasonal badges. “It’s a way for us to provide the means for people to use a credit card or debit card to provide a beach pass,” explained Borough Administrator Christopher Vaz, who said beachgoers are currently limited to paying by cash. The app will not cost the borough any money, Vaz said. The app developer makes money through the credit card processing fees, meaning the borough will receive 100 percent of badge sale revenue. Though the badges will be sold digitally, beachgoers will still need to wear physical badges on the sand. After the purchase is made online, visitors will go to the badge checker stand and show them their purchase, at which point they’ll be given a badge.